27 September 2010 – The Auckland Regional Council (ARC) has today announced the purchase of its final regional park, Te Muri Regional Park. Fittingly, it is the neighbour to the first regional park ever purchased, at Wenderholm in 1965. The new block at Te Muri on the Mahurangi coast has a boundary on the northern side of the Puhoi River and is only 30 minutes from Auckland’s CBD. It backs onto Te Muri Beach, a 1km sandy beach already owned by the ARC, and will be named Te Muri Regional Park. At 407 hectares, it is the largest park purchase since the Auckland Regional Authority (ARA) purchased 588 hectare Tawharanui Regional Park in 1973 and the largest addition to the regional parks network since the gifting of Atiu Creek Regional Park (843 hectares) by Pierre and Jackie Chatelanat in 2006. “Our regional parks network is considered the jewel in Auckland’s crown,” says ARC Chairman Mike Lee. “This network has taken 47 years to create and this final purchase is the finishing touch to a masterpiece,” he says. Chair of the ARC Parks and Heritage Committee Sandra Coney says this was a critical purchase to protect the landscape of the Puhoi River, Wenderholm Regional Park and the wider area. The property was purchased under the Public Works Act and in agreement with the estate of Peter Schischka. It is intended that some of natural areas of the property will be named to honour Mr Peter Schischka’s family who have farmed in the district since 1885. “Mr Schischka had almost designed his property as a park. He retained very old landmark puriri and other trees and as you descend to the beach, the view takes your breath away,” says Cr Coney. The property had been on the ARC’s acquisition plan for some years, and according to Rodney representative Cr Christine Rose, meets some critical recreational needs for the growing region. “This park is highly accessible, being only 30 minutes from the city centre. It is huge, so provides ample space for the growing numbers of people wanting to ride horses or mountain bike, as well as those wishing to swim, walk or picnic,” she says. The property adjoins Te Muri River and Mahurangi Regional Park (Sullivans Bay, Mahurangi West) to the north. The beachfront at Te Muri was acquired from the Schischka family in 1973 but was only accessible by walking through an estuary at low tide. The property will provide expanded camping opportunities and there will be a rentable bach. It will continue to be a working farm. 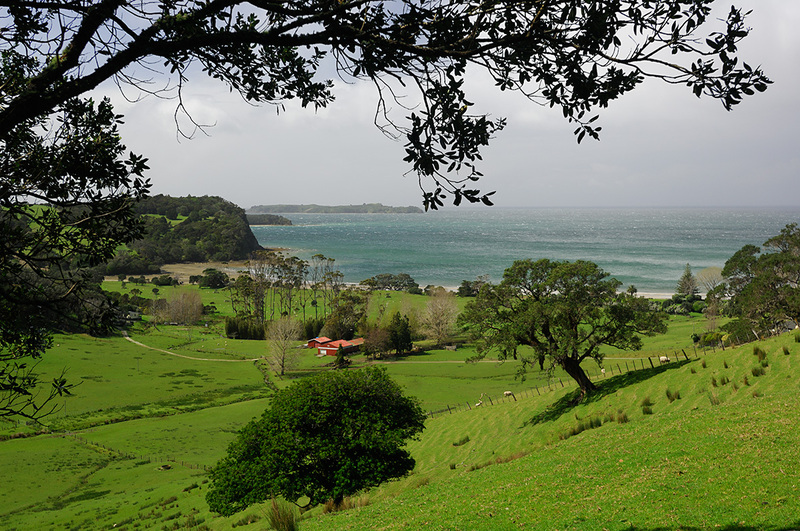 Regional parks on Auckland’s north-eastern coast protect 38.5 km of coastline. 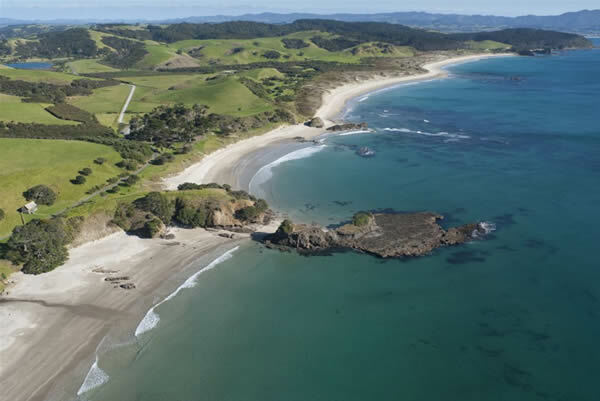 The Auckland Regional Council (ARC) welcomes the approval of its application for a marine reserve a Tawharanui, on the eastern coast of the Rodney district. ARC Chairman Mike Lee, who has advocated for the marine reserve since 1994, says increased marine protection on this popular stretch of coast will enhance the area’s natural and scientific values. “It may have taken 16 years, but this has been a cause worth fighting for,” says Chairman Lee. “The Tawharanui Marine Reserve will be unique in that it will create an undersea sanctuary next to a mainland open sanctuary and alongside a popular surf beach,” he says. Our special thanks to Conservation Minister Kate Wilkinson for supporting this and to Minister of Fisheries Phil Heatley. “We appreciate the support that we have received from those interested in protecting this area. Tawharanui Marine Reserve adjoins the northern side of Tawharanui Regional Park and is approximately 400 hectares in size. The marine reserve, formerly a marine park created in 1981, will enhance the protection of this section of coastline and the opportunities for the scientific study of marine life. Greater clarity for users and marine reserve administrators due to straightened boundaries. Greater understanding of marine protection at Tawharanui due to marine reserve status as rules will be consistent with those of other marine reserves (rules are consistent from one marine reserve to another but can differ between marine parks). Management under a consistent regime with the nearby Cape Rodney Okakari Point Marine Reserve. The existing restrictions on taking or disturbing marine life in the marine park will continue to apply within the boundaries of the marine reserve.